There’s no point in keeping old furniture around. You’re never ever going to be using it again. That’s for sure. So, it bodes well that you sell it off and free up some space in storage. Simply put, it is tough to price used furniture properly. For starters, it should not be priced above similar furniture that you might see at stores. What you have to take into consideration is not pricing too low that you feel unhappy while also not pricing it too high that it puts buyers off. Since it used furniture, make sure you consider any scratches, dents and stains and so on and so forth. There are a number of ways to go about this. If you want to take the online route, use Craigslist or eBay. 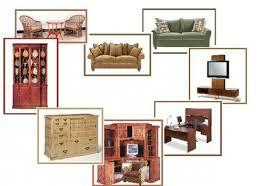 A consignment store or a used furniture store is an excellent option too. Garage sales are also an excellent way to get rid of used furniture. Also, hiring the services of a professional liquidator can come in handy as they will make the best recommendations in order to get rid of the furniture while making a nifty sum from it too. Whatever you have remaining can be donated to charity or furniture banks. Since you are competing with others who also have used furniture to sell, ensure you create an exciting ad. When it comes to describing furniture, make sure you don’t resort to false advertising. Apart from this, include a photograph because this increases chances of buyers being interested. If you are hosting a garage sale, you might have to provide directions for the day of the sale itself.